Did you know collecting Greeting cards / Postcard is currently the third largest collectable arena in the world! Possibly the very fist Christmas card ever created was by a young British man named William Egley in 1842. 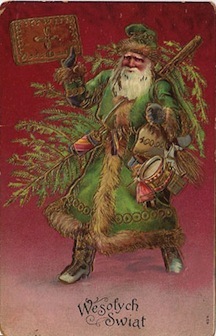 The card is said to be preserved by the British Museum and depicts holiday scenes and says “Merry Christmas and Happy New Year”. By the 1860s greeting card companies began emerging and they hired prominent artists of children’s books and sought after lithographers to create the images on their greeting cards and post cards. Card painters included magnificently talented artists Frederick S. Church and Winslow Homer. Versus were written by Tennyson and Longfellow. These first greeting cards were priced around the 50-cent point and this was a huge amount to pay in those days. Soon however lesser expensive German Holiday cards began appearing in the market place. 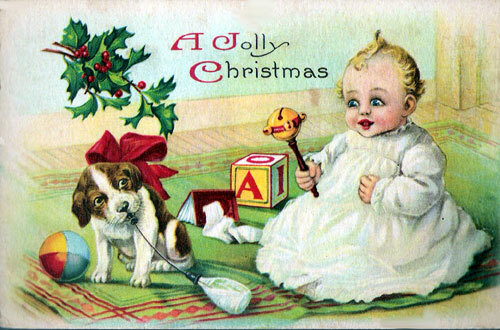 Wow – what would it be like to posses one of these antique Christmas cards! Many of the antique Christmas cards are true masterpieces incorporating silk fringes, tassels, mother of pearl inlays and satin backgrounds. Flowers, angels, carolers, gentle animals, romantic young women and happy children and have the most magnificent colors. 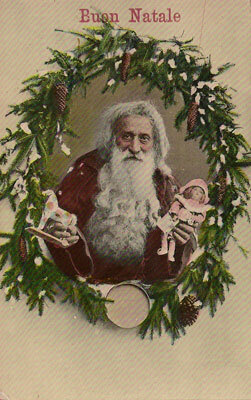 From 1900 to 1920, penny postcards from Germany featuring Santa Claus, nostalgic hearth and snow scenes, holly, toys and Nativity settings captured the market. In 1910, J.C. Hall began selling postcards out of a shoebox at a YMCA in Kansas City, Mo. His one-man enterprise turned into what we know today as Hallmark Cards Inc.
Greeting card/Postcard collecting is currently the third largest collectable arena in the world! There are many things to look for when collecting Greeting cards/Postcards. Whether buying or selling post cards and greeting cards, everyone wants to know the condition of the card and here is a good source for basic ratings of the condition of greeting cards and postcards. Mint: No marks, bends, or creases. No writing or postmarks. Pristine from original printer. Seldom seen. Near Mint: Like Mint but very light aging or very slight discoloration from being in an album for many years. Excellent: No bends or creases, or rounded or blunt corners. Clean, fresh card. Very Good: Corners a bit blunt or rounded. Almost undetectable crease or bends. Good: Corners may be noticeably blunt or rounded with noticeably slight bends or creases. May be postally used or have writing on the address side. Visit here for even more information on antique greeting cards.